This is the season of gratitude and I am so grateful for *your* support of my blog during 2014. I have a treat for you. If you participated in my Creativity Bonfire Series telesummit last spring then you got the distinct pleasure of hearing one of my favorite creativity mentors – Dr. Eric Maisel. 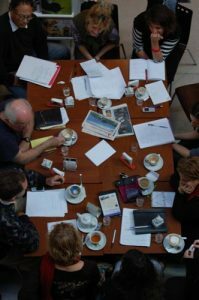 The telesummit gathered together 12 authors, artists, coaches and visionaries to share their expertise, passion and insights about how to develop and sustain creativity so that it benefits every area of one’s life. I was so happy that Eric accepted my invitation to participate. He is the author over 40 books (!) on creativity and has so much wisdom to share about the creative process. 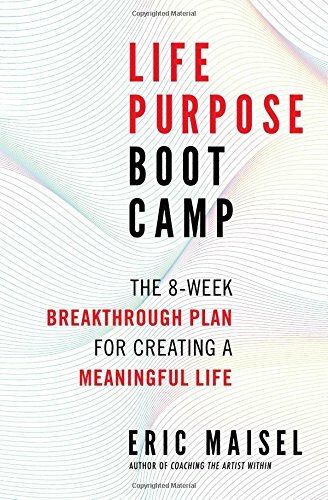 I’m so excited, because Eric has written yet another fantastic book – Life Purpose Boot Camp: The 8-Week Breakthrough Plan for Creating a Meaningful Life (New World Library). The book provides an eight-week intensive that breaks through barriers and offers insights for living each day with purpose. Below, Eric answers a few questions about the book in a mini-interview. I discovered Eric’s work in 2001 and his approach was instrumental in helping me to move forward with my intention to write. More than thirteen years later, I’m still applying his insights in my work as a scholar, writer and creativity coach. I’m also a graduate of his creativity coaching program. Get your recording here. 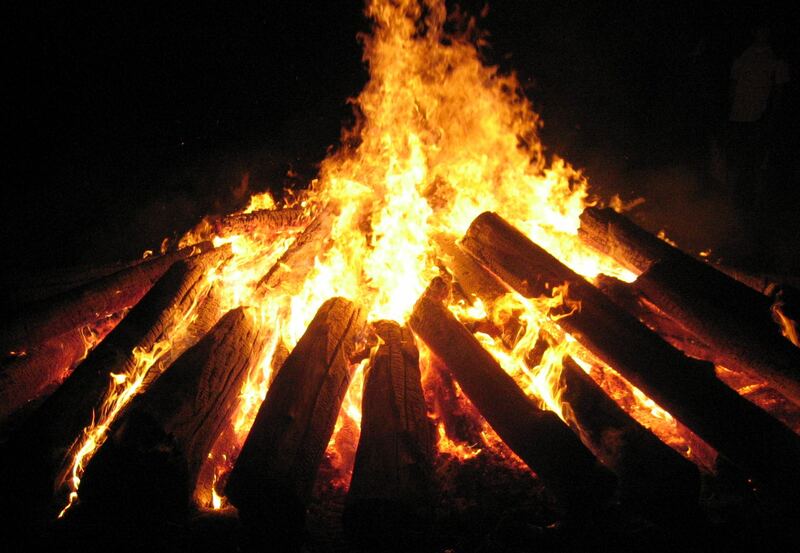 I know this conversation will keep your creative fire stoked all during this busy month and into 2015. It also provides a great introduction to Eric’s work. And after listening, you’ll probably want to grab Eric’s latest book, too. Can you tell us a little bit about your reasons for writing Life Purpose Boot Camp? There are a lot of books about life purpose out there already—why did you think that another book on the subject was warranted? Most traditional books on life purpose argue that life purpose is a kind of alignment with the universe. You discern what the universe wants from you—that information passed to you via books like the bible, via gurus or experts, via meditation practices, spirit quests or desert treks, via preachers and their sermons—and then you align yourself with that wisdom and knowledge. Life purpose is seen as something you must seek out and, if you are lucky, find. This is our long-standing vision of life purpose and connects to all sorts of religious, spiritual, and philosophical traditions. It is time to change our mind about this and make the profound paradigm shift from seeking meaning to making meaning. If you believe in ideas like evolution and if you have a secular orientation, then it follows that there is no life purpose to find because the universe has zero life purposes in mind for you. Nature is not interested in offering you life purposes or in commenting on your life purposes. Rather, life purposes are decisions you make about what you value, what feels meaningful to you, what principles you want to uphold, how you want to represent yourself in life, and how you want to make yourself proud by your efforts and your actions. Life Purpose Boot Camp presents a systematic program for doing exactly that: identifying your life purposes, articulating your life purposes, and making plans for holding your life purposes “close” so that you actually get to them on a daily basis. Growing up, you never learned these ideas, skills, or strategies: skills like writing life purpose statements, creating your life purpose icon, starting your day with a morning meaning check-in, and so on. Might be a good time to start <smile>! You do a lot of work with creative people—in fact you’re widely regarded as America’s foremost creativity coach. Do creative people have some special troubles with life purpose? + It is hard to succeed in the arts, so while you may feel like you are following your life purpose by performing or creating you are likely thwarted at every turn and may end up in unfulfilling day jobs, in arduous second careers engaged in to support your creative life, and so on. The challenging nature of the creative life makes it hard to sustain the effort of holding creating or performing as a primary life purpose. + Creatives tend to put all of their meaning and all of their life purpose into their creative pursuits and end up taking too few other meaning opportunities and pursuing too few other life purposes—for instance missing out on love, intimacy and relationships. It is fine to have a primary life purpose like creating but we really need multiple life purposes, not a single life purpose. Putting all of our meaning and life purpose in one basket is a dangerous thing! In Life Purpose Boot Camp I spell out how to identify—and then juggle—multiple life purposes. Really, nothing is more important to learn. Affirmations for Writers: Do You Need A Few for 2013? Why is it so easy to believe the awful and never believe the good? Using affirmations about writing (and creativity) have helped me over the years. I sometimes write a few affirmations as a warm-up to a writing session. I also keep a few posted in key places in my home office. I’m currently reviewing some of my stock ones and seeing if I want to keep them for 2013. What’s your experience with using affirmations to support your writing? Do you already use affirmations? Do you write them down and/or say them aloud? I’d love to hear what has worked for you. 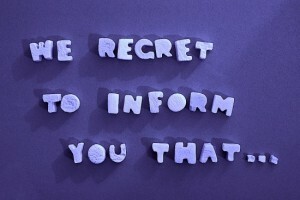 If not, can you use some affirmations for your writing life for 2013? My heart is a garden for creative ideas. My ideas come faster than I can write, and they’re all good ideas. Revising is the best part of writing. My writing dreams are worthy ones. Anxiety comes with the territory. I can manage and even embrace my anxiety. If I grow quiet, the writing will happen. To write is to improvise. I will become jazz. My creative work is highly valued. I honor my writing by keeping the right words and setting the rest free for another day. For books that combine writing prompts with affirmations, see Susan Shaughnessy’s Walking on Alligators: A Book of Meditations for Writers. Julia Cameron’s Heart Steps (Prayers and Declarations for a Creative Life) is a small but potent book that comforts and uplifts. During an open mike segment of a reading hosted by Marjorie Hudson, I heard M. Todd Henderson read from his new novella, Shifting Sands, about a mentally ill husband and father. I’m always eager to understand others’ insights about mental health issues. Depression and anxiety are challenges that many Americans face daily. I’ve had close friends struggle with various mental health crises. And, as a creativity coach, I’ve worked with clients who struggle with depressive cycles. I also recently interviewed Eric Maisel about his new book on depression. 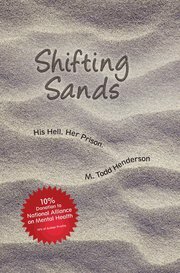 Intrigued by Henderson’s reading and also impressed that he is donating 10% of the profits of the novella to the National Alliance on Mental Illness, I got a copy of Shifting Sands. After reading it, I knew I wanted to interview him about his experience with depression and exploration of mental illness through narrative fiction. How did you come to write the novella, Shifting Sands: His Hell. Her Prison.? Other than the ABCs, my first taste of writing was when I was 10. I wrote and edited The Local News, which my Mom, a school teacher, mimeographed copies at the high school for me to distribute. That was before Xerox. The newspaper was actually a combination of school, church, weather, and sometimes international news. It ran sporadically from December 18, 1969 to October 1, 1972. Yes. I keep copies of all the issues and most everything I’ve ever written. They are a big part of me and I can’t seem to part with them. In high school I mostly read American classics (e.g. Hemingway, Faulkner, Fitzgerald, etc.) and learned the mechanics of writing. Then I took a creative writing course my freshman year at Indiana University. I won the award for outstanding freshman essay for a story about my Granddaddy’s house. It was a thrill and it compelled me to continue writing throughout college and to submit to creative magazines, including The New Yorker. I failed to publish, but appearing in The New Yorker is on my bucket list. The next several years I journaled some, but concentrated on my advertising career. Over my almost-thirty-year career I worked for five different Midwest ad agencies, a non-profit, and an international corporation. I wrote extensively – mostly memos, plans, research papers, and direct mail. I also travelled quite a bit internationally (Australia is a must see.) and throughout the US. The advertising business is definitely exciting, but it’s also extremely intense and high stress. After I got married to Lori and we had our two sons the stress doubled and I ended up with high anxiety and low depression. Ultimately, I left the advertising business, resumed journaling, and published my first book. Just. Like. That. Well, maybe it was slightly more involved. Much of my journaling was while I was in the dark- unrelenting- clutches of depression and anxiety. I wrote extensively in blue and black Moleskin journals about the effect of mental illness on myself, my family, and our friends. It was the lowest part of my life. Then my novella emerged. Shifting Sands: His Hell. Her Prison. was born out of my journaling, yet it’s not autobiographical. I chose to write fiction for a few reasons: fiction is my forte, fiction provides room to speculate and embellish, and fiction is simply fun. 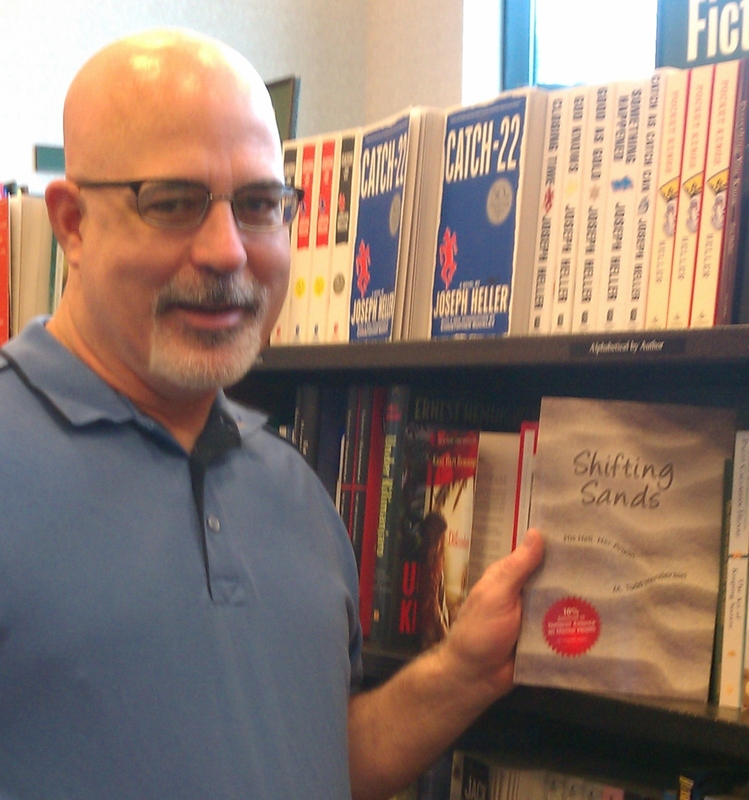 Why did I write Shifting Sands? In the end I wrote this story to assure my family, my friends, and my readers that when in the depths of despair they will always have hope for a better tomorrow. Perhaps I was also trying to convince myself. I love this scene from the book and really enjoyed writing it. At the lowest point of depression, the main character Scott T. Walters, runs from his responsibilities and drives to the North Carolina Outer Banks. “Scott hitches up the pop-up camper to his ‘91 Ram pick-up, and heads east on Highway 64. He plans to stay at the KOA in Rodanthe for a few days. Maybe take a drive to Buxton. Or on to Ocracoke by ferry to see the wild ponies. Salty, clear air welcomed him at Whalebone Junction where the truck turns south onto Bodie Island, and crosses Oregon Inlet on a narrow, high-flying bridge alongside gliding pelicans and gulls and onto Hatteras Island. Scott pulls into the KOA, eases the camper into its site next to the twenty-five foot dunes, and settles in. He has brought along seven bottles of cab, two six-packs of PBR, chips, cheese, salsa, eggs, and bacon. Scott takes his customary first-day-back hike over the dunes and up the beach toward the new Rodanthe pier. It’s a three-beer journey. As it is early in the season, prime sea gifts that waves have tenderly carried and placed on the sand—angel wings, sand dollars, sea stars, and a rare intact horseshoe crab—remain scattered along the beach long after high tide. Amongst all the loot ghost crabs scurry to and fro rearing back with front claws raised in defensive mode as Scott approaches. This is a familiar stretch of beach for Scott; he walks it at least three times a year. And three times a year the sea oat-topped dunes have a new story to tell. On this go ‘round the dunes tell tales of Hurricane Dennis. Dennis came ashore two times. On the first visit, he danced a slow graceful waltz with the dunes. They inched this way and that till they all rested fairly close to where they took their first step. The second visit was a herky jerky two step. Moving this way and that, the dunes found themselves uncomfortably closer to the breakers with their sea oats tossed to and fro like a bad hair day. This is my favorite scene because my soul can be found in the Outer Banks. In its salty perfume, its sea oats waving to me from atop dunes, its sand pipers scurrying to snag sand fleas, its breakers washing the top of my bare feet, and so much more. My writing practice starts with journaling. Most days I journal off and on in my pocket-sized Moleskin. Mostly I journal about interesting people or events as well as dialect and interesting word uses. At the end of the day I rip pages from the small journal and tape them into my large red Moleskin (my color of this month). Then I usually journal more about pocket-sized entries. Since I fill one to two large Moleskins a month, I spend some time in completed journals adding notes, highlighting key thoughts, and entering the best ideas into my current project. When I’m on a specific project I spend the majority of the time on my Toshiba until the book is in the editing phase. Then the cycle starts all over again. Will we see more of your main characters? What’s your next writing project? Without a doubt, Scott T. Walters will be front and center for my next two works. We’ll follow him and his family as they face new challenges and old foes. What’s been your experience of being a self-published author? 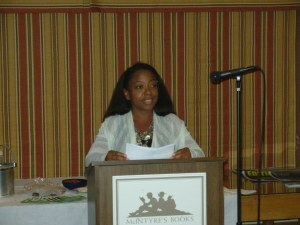 I would never have had the opportunity to publish and sell my stories if it hadn’t been for online publishers. So, I’m very grateful that they exist. My publisher, iUniverse was very professional and helpful during the editing and production phases. The process was flawless. However, after Shifting Sands was published, iUniverse began to push their added-value services, like marketing, printed copies, promotion kits, design, and publicity. Frankly, I found them to be too aggressive in their approach. In the long run I consider self publishers to be another tool available to me, like my Toshiba, The Chicago Manual of Style, and my Moleskins. I can use some or all of iUniverse’s service depending upon the project. In my case the key to success is actually two: observation and recording. Look so you can see. Listen so you can hear. Taste. Smell. Pick up on the nuances because it’s often the smallest of observations that are the most telling and interesting. And, record them into your handy dandy journal (or, sometimes take a photo) for further observation. M. Todd Henderson was born in Indianapolis, Indiana. He graduated from Indiana University’s School of Journalism in 1981. His career includes nearly thirty years in the advertising and marketing business. In addition he served as an AmeriCorpsVISTA volunteer to help fight poverty in his adopted North Carolina. Todd and his family live near Raleigh, North Carolina. Currently Todd is working on his second book which will continue the story of Scott T. Walters. He invites your questions and thoughts on writing, your work, and his work at mthtodd@earthlink.net. Tags: author interview, bipolar disorder, creative writing, creativity, depression, Eric Maisel, M. Todd Henderson, Marjorie Hudson, mental health, NAMI, National Alliance on Mental Health, Shifting Sands, Shifting Sands: His Hell. Her Prison.